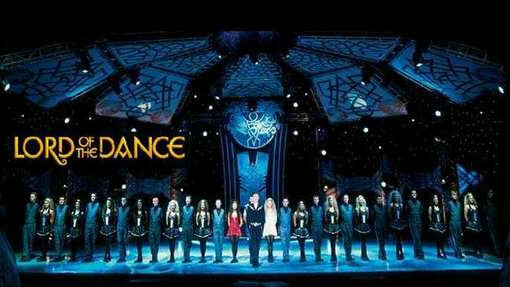 Lord of the Dance is a foot-tapping extravaganza. Tickets for what is being called “The Edge of The World Experience” have just gone on sale in Ireland. The show represents the first open air performances of the world-famous “Lord of the Dance” extravaganza and it is expected to attract 10,000 people to the Cliffs of Moher on 1 and 2 September. The performances coincide with the campaign to have the iconic cliffs selected as one of the New7Wonders of Nature. The show features 40 dancers acting out the mythical Irish folk story of a battle between Don Dorcha, the Lord of Darkness, and the Lord of Light, also known as the Lord of the Dance. But before he dances at the Cliffs of Moher, Michael Flatley, the so-called Lord of the Dance and the creator of the show, is looking forward to seeing himself dancing in 3-D when the “Lord of the Dance in 3D” hits cinemas worldwide next month in time for Ireland’s national holiday, St. Patrick’s Day.